Lonnie G. Bunch III, “Lonnie G. Bunch III,” Histories of the National Mall, accessed April 23, 2019, http://mallhistory.org/items/show/136. 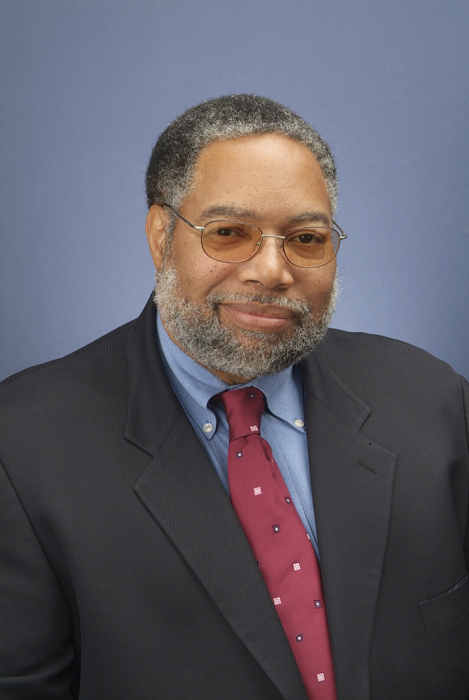 Lonnie G. Bunch III is the director of the Smithsonian National Museum of African American History and Culture. He develops exhibits and public programs and coordinates the museum's mission. Under his leadership, the Museum opened an exhibit in the National Museum of American History on the Scurlock Studio, one of the foremost African American photography studios in the nation. Smithsonian Institution Archives. View original photograph. Lonnie G. Bunch III was born in Newark, New Jersey. He was interested in history from an early age. After two years at Howard University, he transferred to American University, where he completed undergraduate and graduate degrees in American and African History. While a graduate student, Bunch interned at the Smithsonian National Air and Space Museum. In 1983 he became the curator and program manager at the California African American Museum, where he organized a number of award-winning exhibitions. Bunch returned to the Smithsonian in 1989, working as a curator in the National Museum of American History until 1994 when he was promoted to Associate Director for Curatorial Affairs, a position he held until 2000. From 2001-2005 he was the President of the Chicago Historical Society. He was named the Director of the National Museum of African American History and Culture in 2005.